The Cat's Whiskers Cafe at 61st Avenue NE welcomed patrons with porch seating, an open doorway, and beans for thirty cents. 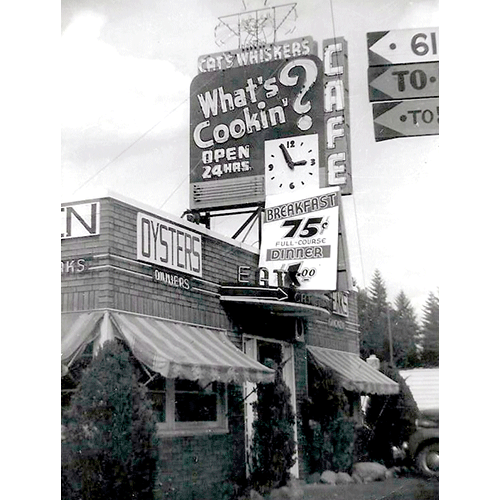 The "Open for Business" sign may refer to the cafe's move from the south side of Bothell Way to the north side in the 1930s. Photo courtesy of Washington State Archives, Puget Sound Regional Branch Restaurants & Roadhouses.